I have had killer bad breath since last Thursday. Don’t get me wrong–I brush my teeth. And my tongue. I even gargle. No tongue fur or plaque stucco here. I blame it completely on garlic. I recently learned that a spinach crepe is not nearly as innocuous as it sounds. Apparently the flavour of spinach is greatly enhanced by garlic–lots of garlic. It’s not that I didn’t thoroughly enjoy my crepe. I did. Even my subsequent burps were scrumptious. The Caesar Salad that I had later on in the day was totally my fault. Even the crispy blocks of heaven–otherwise known as croutons–were doused in the naughty spice. By that evening, dogs were crossing the street to avoid me. Birds fell from the sky. I couldn’t even coax a mosquito to bite me. (Note to self: look into viability of garlic-based bug repellent). And my poor husband avoided me like the Bubonic Plague. On the up-side, I did gain control of the TV remote. And I got the bed to myself. Really, my breath was THAT bad. Well, it is now Monday and my halitosis has finally departed. For now. Four Weddings Canada is on later in the week and I really want the remote. Garlic & Parmesan Twistos, anyone? 1) Dogs notoriously have bad breath–and it’s not from garlic. It would stand to reason that the bigger the dog, the bigger the mouth, and, therefore, the bigger the breath problem. Don’t get me wrong. I’m sure there is a Chihuahua out there with breath that could kill a skunk–all those spicy Mexican food scraps. 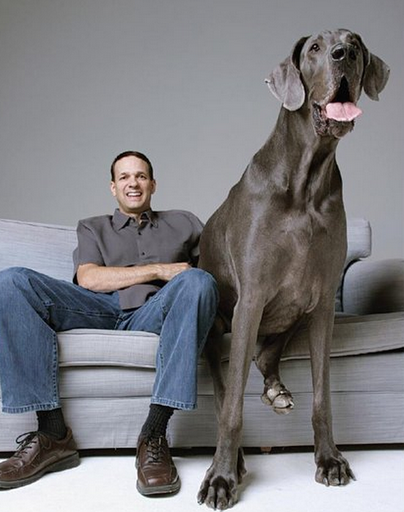 This…um…dog is the Guinness World Record’s tallest dog in the world. Look at him. He’s practically a mutant. “Giant George” the Great Dane of Tucson, Arizona stands 43 inches tall. He consumes 110 pounds of food each month and has his very own queen-sized bed. He has appeared on Oprah and now has his own book out. This dog really is worth his weight in gold. 2) My garlic breath was tough. No amount of Listerine, Sensodyne, or Cool Mint gum could kill it. Apparently, I should have tried a slab of bacon. Huh. 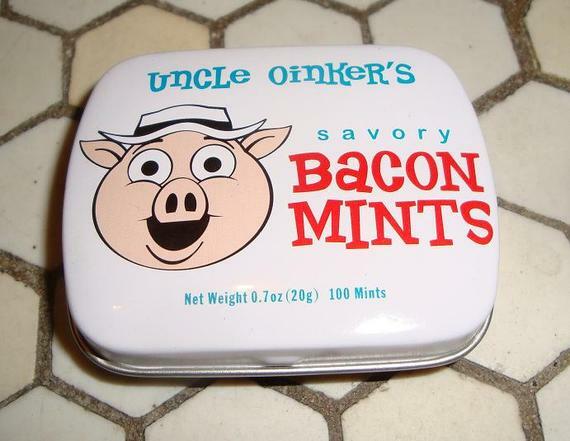 Meet Uncle Oinker’s Savory Bacon Mints. I never thought I’d use the words “bacon” and “mint” in the same sentence. Just one question–if bacon has the power of a mint, how come the bacon bits in my Caesar Salad didn’t freshen up my mouth? Maybe it’s only the bacon/mint combination that works. 1440 Facebook users “like” this product. Honest. 3) Onions are a major perpetrator of breath infractions. Not that it’s onion’s fault. I’m sure it would rather live than be sliced or diced and made in to food. 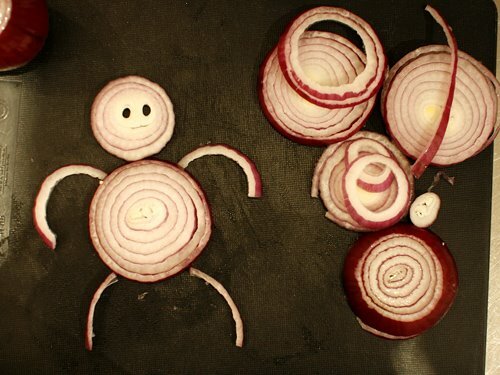 -Libyans eat more onions per capita than any other country. Apparently, their consumption works out to 66.8 pounds of onions per person each year. I hope they also consume a lot of mints. Note to self: purchase portable iron lung machine prior to vacationing in Libya. In comparison, the average American will eat 20 pounds of onions in a year. -It has been said (mainly by an old English Rhyme) that the onion has the ability to predict the weather. 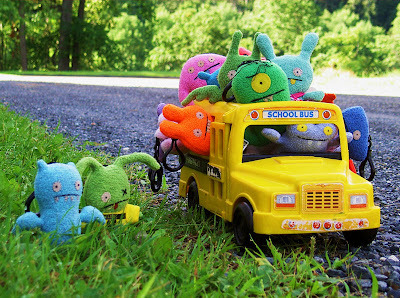 Let’s face it, any vegetable could do a better job than the average weather man. Rumour has it that a thin skin predicts a nice winter, but a thick skin means a harsh one. -Apparently, onions and potatoes do not play well together. According to the Centre for Disease Control, “do not place onions near potatoes because potatoes give off moisture and produce a gas that causes onions to spoil more quickly.” What happens if you eat raw potato with onion? Will you explode? Hmm. 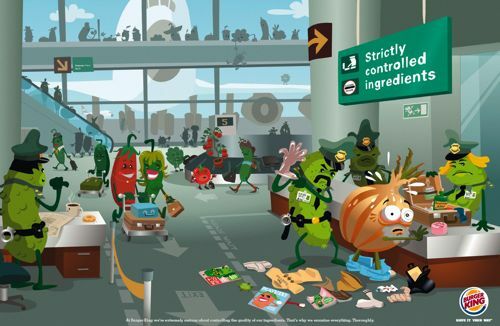 And here is a Burger King advertisement that disrespects the onion, yet elevates the pickle. Photo Credits: Giant George (bedlingtondogs.blogspot.ca), Uncle Oinkers( blogs.villagevoice.com/forkintheroad), Onion Boy (myfunnyeye.blogspot.ca), Airport check (slog.thestranger.com). Wow, the skin nearly fell off my face with that breath !!! Must try garlic with spinach as I love both but never tried them together. Would love to try bacon mints ! Sorry, I must really learn to face away from computer when I have garlic breath. Bad breath can be easily remedied by taking oral antiseptics. .